Tired of your Sirius XM Satellite Radio cutting in and out of you when your cursing around the bay in your boat? 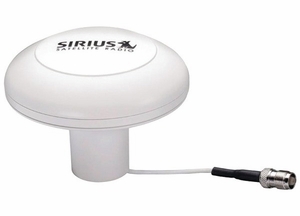 Well the SIRMARINE mount antenna is your savior! This small unobtrusive flush mount satellite antenna will enhance your satellite signal and is suited for high-vibrations and salt water environment.